Hazelwood House is 10 minutes from Sligo town, sits on the shores of Lough Gill and has great views of Benbulben mountain. 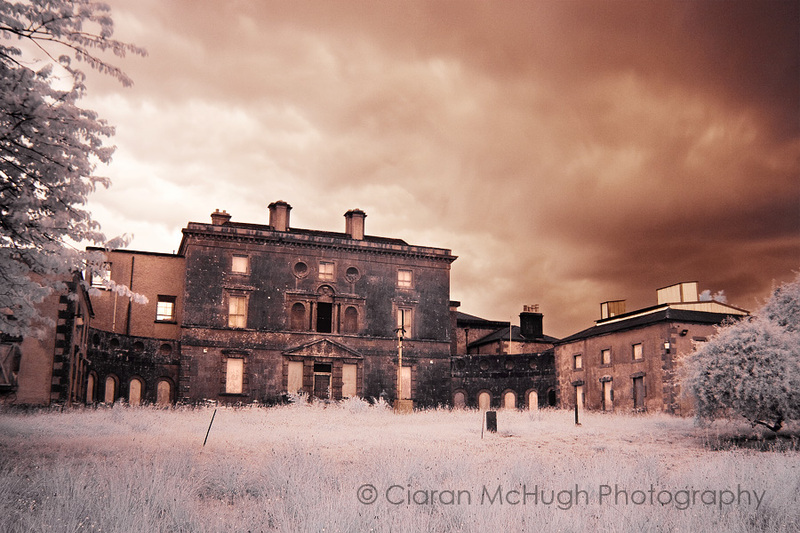 It also one of the most at risk Palladian mansions in Ireland. Hazelwood House remained within the Wynne family until the 1930s when it was sold to the state. During the next 30 years the mansion went on to serve as both a military barracks and psychiatric hospital. The house was again sold again in the 1960s to an Italian firm, Snia, who built a factory build on the demesne and gardens of the Estate (the factory was later occupied by a Korean videotape firm Sehan Media which also closed down). The house itself was used by Snia as offices but has been empty and boarded up since 1987. It was sold again in 2006 to a development company whose plan to build houses and apartments on the estate was turned down by Sligo County Council. An order was placed on the property forcing the owners to improve the fabric of the building to ensure its preservation. The development consortium has since gone into receivership and a Hazelwood Heritage Society has been formed which has called on Hazelwood to be “gifted” to the people of Sligo and developed as a cultural, heritage and educational tourism asset for the region. Today it is in a poor state of repair and very much in state of limbo.